Looking to get your Greek on? Etta’s Greeklish Eatery not only does a fantastic breakfast, they also serve options for lunch and dinner. The Greek Salad at Etta’s Greeklish Eatery in Windsor, Ontario. This light and refreshing salad is big in size and flavour. Always a good compliment to a meal or a meal itself. 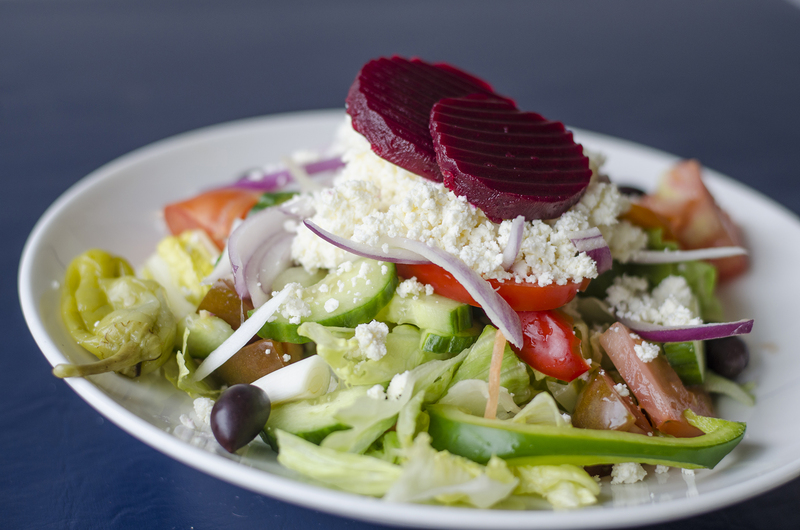 The Greeklish Salad at Etta’s Greeklish Eatery in Windsor, Ontario. 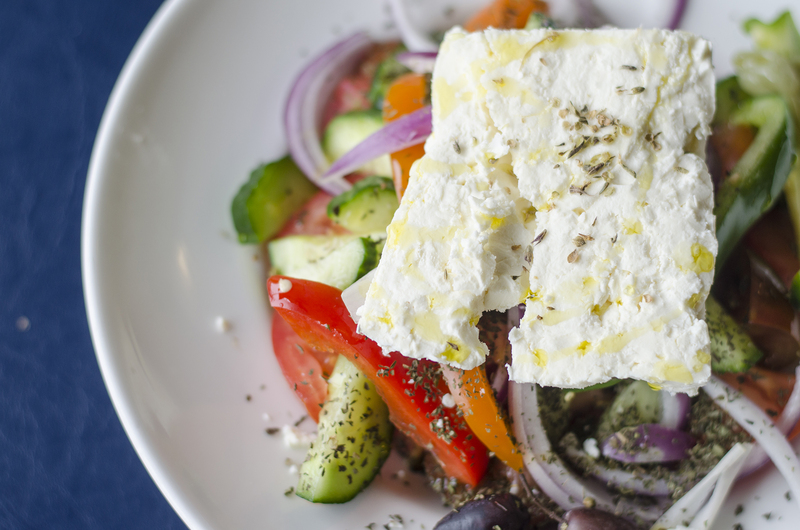 If you want to kick the traditional Greek salad up a notch, go for the Greeklish salad. I mean, just look at that huge chunk of feta. It’s monstrous! The Homemade Gyro at Etta’s Greeklish Eatery in Windsor, Ontario. You can’t think of Greek cuisine without thinking of a gyro. 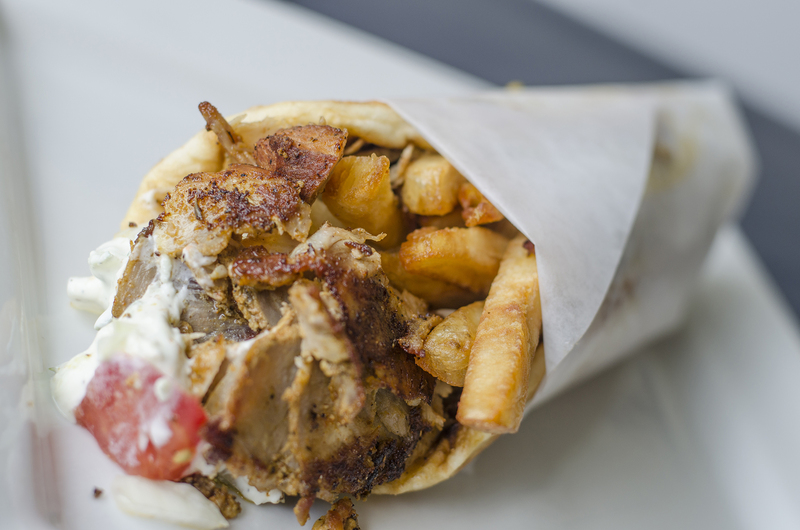 These are real, true Greek gyros made in-house with pork seasoned to perfection, complete with fries packed inside the wrap. 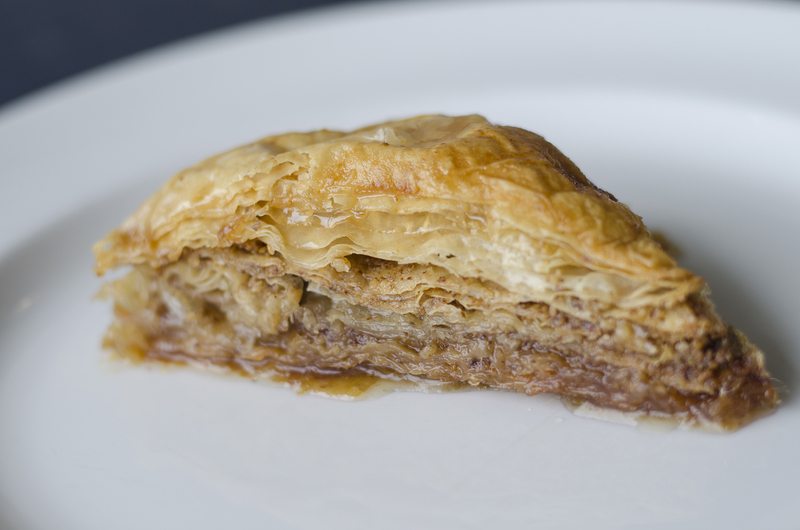 Baklava at Etta’s Greeklish Eatery in Windsor, Ontario. You can’t ever forget about dessert. Ever. It’s technically not actually on the menu, but, it’s always there and it’s always delicious.